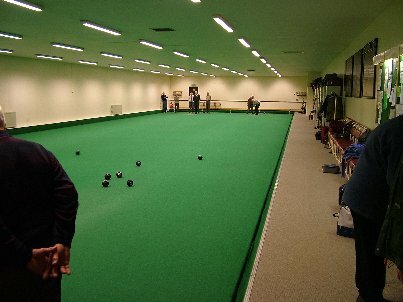 We are a flat green bowls club, established in 1908 and located just over half a mile west of Bridgwater town centre. The club has 6 outdoor rinks and 2 indoor rinks. Since September 2012 we are a mixed club admitting members of both sexes. Full membership allows use of all the club facilities outdoors and indoors. Indoor Membership, for the indoor season (October to April), is open to members of other clubs. We play both competitive and friendly matches throughout the year as well as internal and external competitions. The club is affiliated to the English Bowling Association, Somerset Bowls Association, English Indoor Bowling Association, Somerset County Indoor Bowling Association, Somerset Women's County Indoor Bowling Association and a member of Bridgwater Bowling Association. Whatever your age and whether you are new to bowls or are an experienced bowler looking to join a new club, we will make you very welcome. Contact Chris on 01278 450511 or the club on 01278 452920 for further details including free trial membership and tuition.